Expo Tower is a photograph by Ben Prepelka which was uploaded on July 25th, 2016. 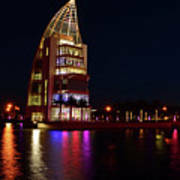 One of Central Florida's newest attractions, Exploration Tower is surrounded by a water feature. 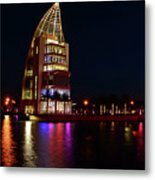 At night, area lighting constantly changes in various colors, creating many different opportunities for photography. Its tower balconies offer one of the best places to catch a birds-eye-view of the entire area around Port Canaveral. 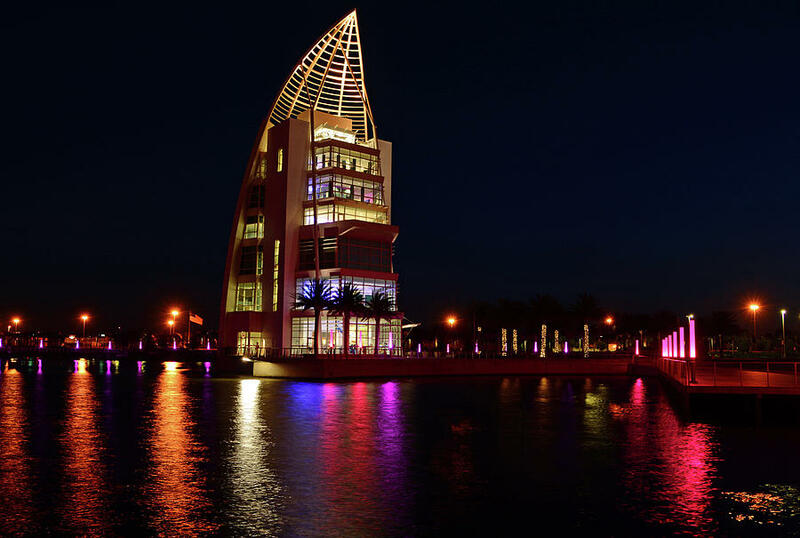 Officially opened in November, 2013, the Exploration Tower offers seven floors of exhibits and interactive stations. 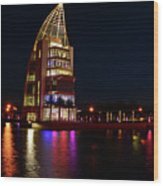 Along with the indoor and outdoor observation platforms, the tower includes a snack shop, state-of-the-art theater, historic exhibits, a hands-on ship simulator and aquatic exhibits.